Motion control systems are widely used for mobile laser communication, aerial/shipboard video surveillance systems, mobile robots for emergency situations, defence modules and many others. Most of the motion systems for mobile applications are designed using a 2 axis pan-tilt platforms. 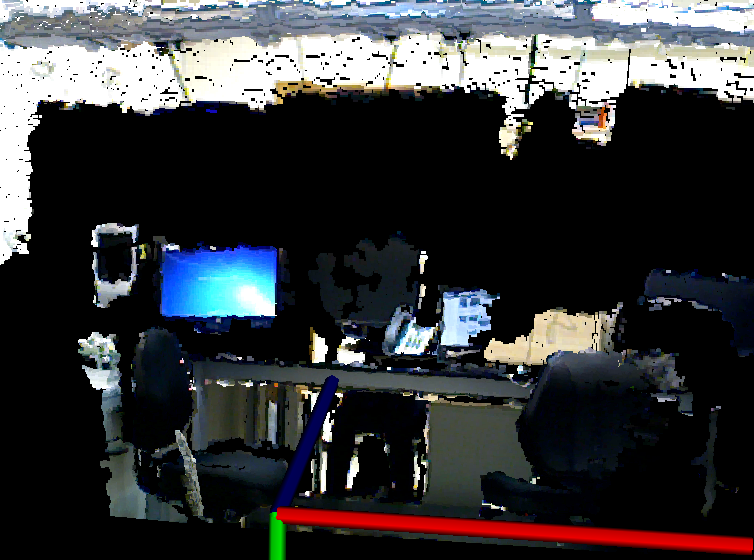 Along with acquiring general video image information, many modern systems employ a dynamical object tracking algorithms for various security and surveillance purposes. To achieve desired performance mobile pan-tilt based systems often employ a platform stabilization to compensate vibration of a mobile platform during movement. In most of the cases this is achieved by using inertial measurement units as part of the platform stabilization control systems, which adjust positions of the pan-tilt actuators accordingly. Unfortunately, utilizing pan-tilt platforms in mobile applications for precise pointing and target tracking has significant disadvantage due to inherent rotation range limitations due to only two degrees of freedom available (pan and tilt rotations) for adjusting positions of the mounted sensor systems. To overcome this problem, several configurations of spherical parallel manipulators (SPMs) have been proposed for designing three degrees of freedom system of pure rotation for optimal camera orientations. Parallel manipulators are characterized by the fact that the end-effector is connected to the base via multiple kinematic chains. This project aims to develop a novel concept of a 3-axis internally stabilized motion control system suitable for mobile applications. This will be achieved by integrating a SPM design complemented by a novel quaternion-based inertial stabilization and orientation control system. 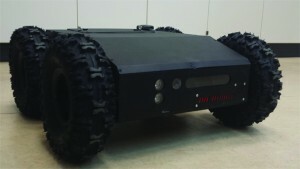 The motion control system prototype will be equipped with a high-speed optical sensor and installed on mobile robot platform for development and testing real-time maneuvering target tracking control in various scenarios. The project deliverables will advance the research on the design of a novel fast-speed inertially stabilized motion control platforms for mobile applications and will be ready for further utilization and commercialization. 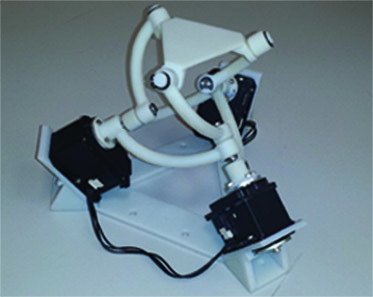 – A spherical parallel manipulator platfrom was designed in SolidWorks and then a 3D printed prototype was assembled to provide three degrees of freedom of pure rotation. – A forward and inverse kinematics of the SPM mechanism was fully analyzed. 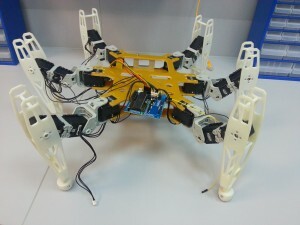 – An inertial stabilization and joystick control systems of the SPM prototype were developed. 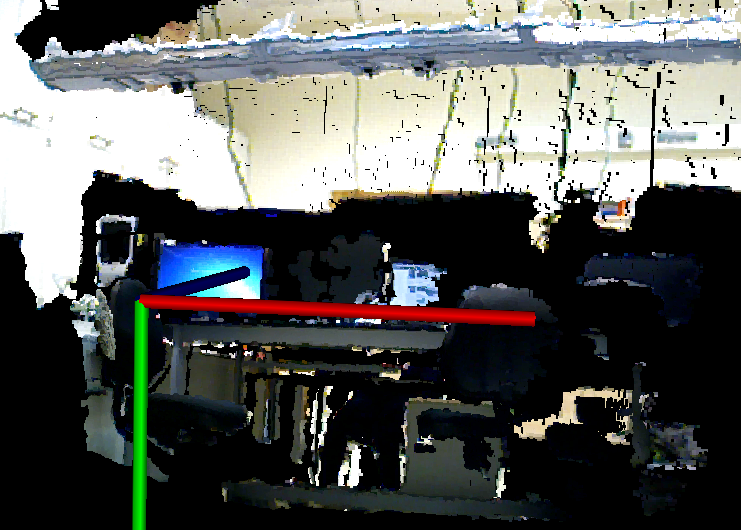 – Figure below presents the 3D point cloud of the ALARIS research laboratory acquired using a depth camera and illustrated from different camera perspectives using a C++ 3D visualization program s created using the PCL library.